Roller shutter doors are made out of materials that are sturdy, tough, and durable. When you choose United Steel Products, you can expect them to be made from superior material and count on them to be proficient in functionality. However, over time, wear and tear can take a toll on roller shutter doors. Additionally, nothing is meant to last forever and your roller shutter doors could need serious repairing and replacement over time, which means you’ll want to take advantage of insurance. To eliminate spending too much money on your doors, we’ll be going over the benefits of insurance. In today’s blog, we’ll educate you on what to know about insurance for roller shutter doors and how to protect your business from burglaries, outside elements, and more. If you’d like to learn more about roller shutter doors and how they are covered by insurance, then contact us today. So what do you need to know about insurance and roller shutter doors? Obviously, insurance is a beneficial choice for anything that’s valuable to you. From life insurance to protect your loved ones to car insurance to ensure accidents are covered, insurance is important because it allows you to avoid having to pay for damages yourself. When it comes to roller shutter door insurance, you’ll want to invest in it because even though your security door may be made of high-quality materials, that doesn’t mean it’s completely protected. A big accident may occur or you’ve had the door for 10 to 15 years and it doesn’t work the same it used to. Damage and breakdown will happen at some point with your roller shutter door, even with United Steel Products. Even after spending years with preventative maintenance, it’s something that can happen, which is why we urge you to get insurance to avoid costly repairs and possible incidents. How Do You Get Roller Shutter Door Insurance? There are many advantages to insurance. If you have even the slightest amount of insurance from auto to renters, then you know the importance of it. Overall, insurance will help you save money in the long run. Everyone likes saving money, especially when you can reduce the costs for extensive repairs or a full replacement of your roller shutter door. It’s also beneficial to take advantage of insurance because your valuables won’t be at risk for outside elements and possible burglaries. So, who handles the insurance for your roller shutter door? 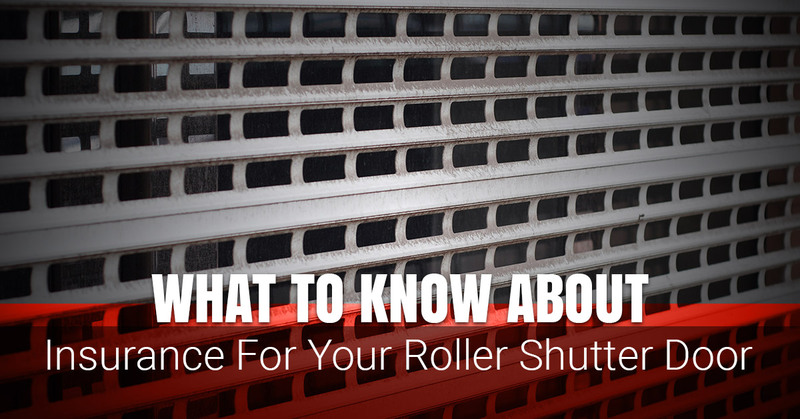 How can you make sure that your roller shutter door is in tip-top shape? You’ll want to talk to an expert at United Steel Products to ensure you are getting the proper preventive maintenance and insurance. Unlike some roller shutter door companies, we handle not only the installation, but the overall repairs and replacement as well. This means we’re an excellent choice because we’re a one-stop-shop for all of your roller shutter door needs. While our preventative maintenance program can get you far and it’s exceptionally beneficial, it isn’t indestructible. To find out more about insurance, we encourage you to talk to a professional and sign up for our service contract.